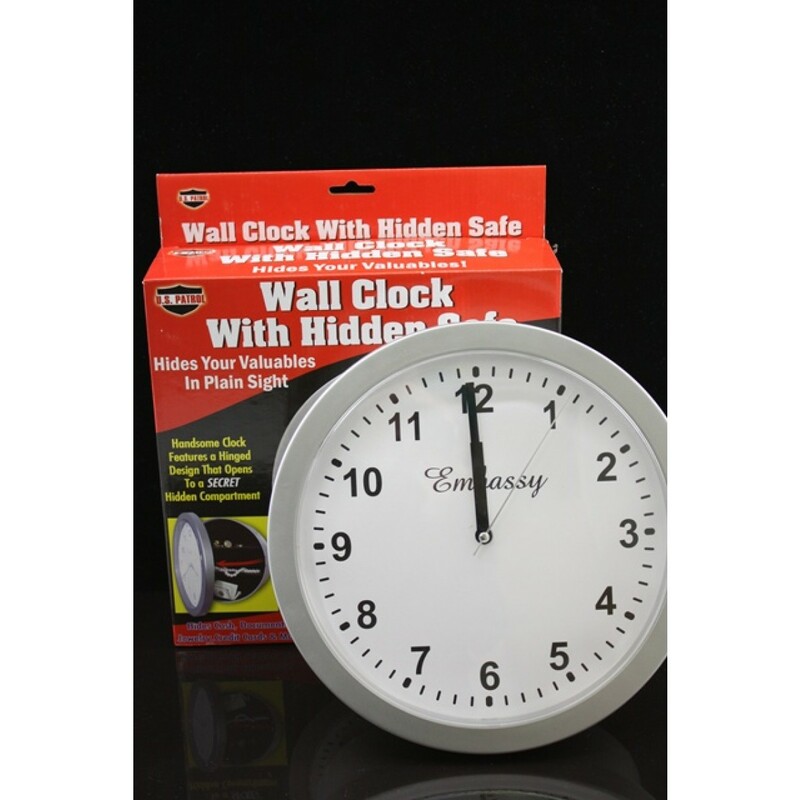 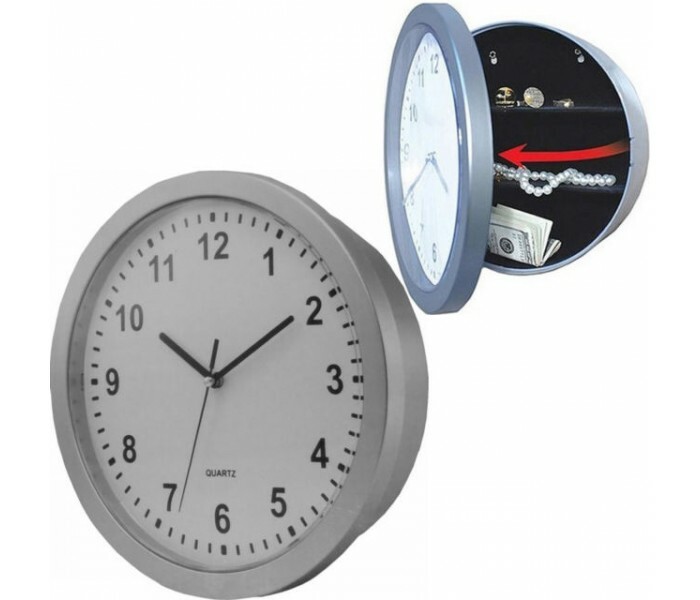 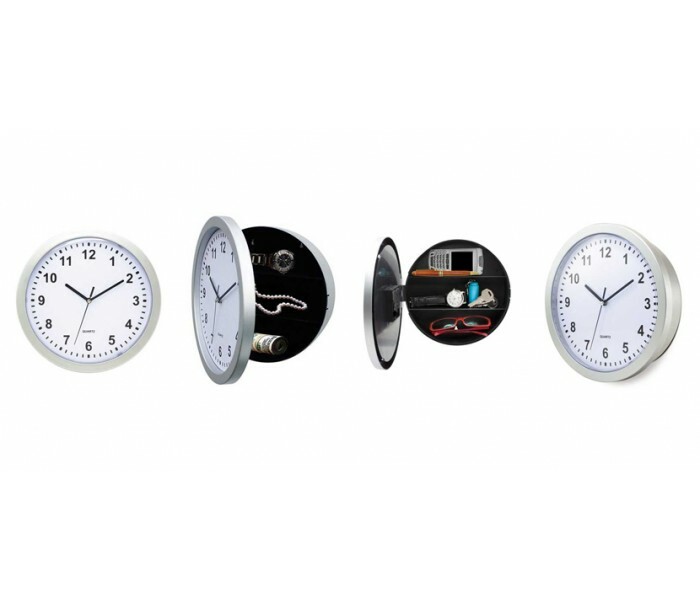 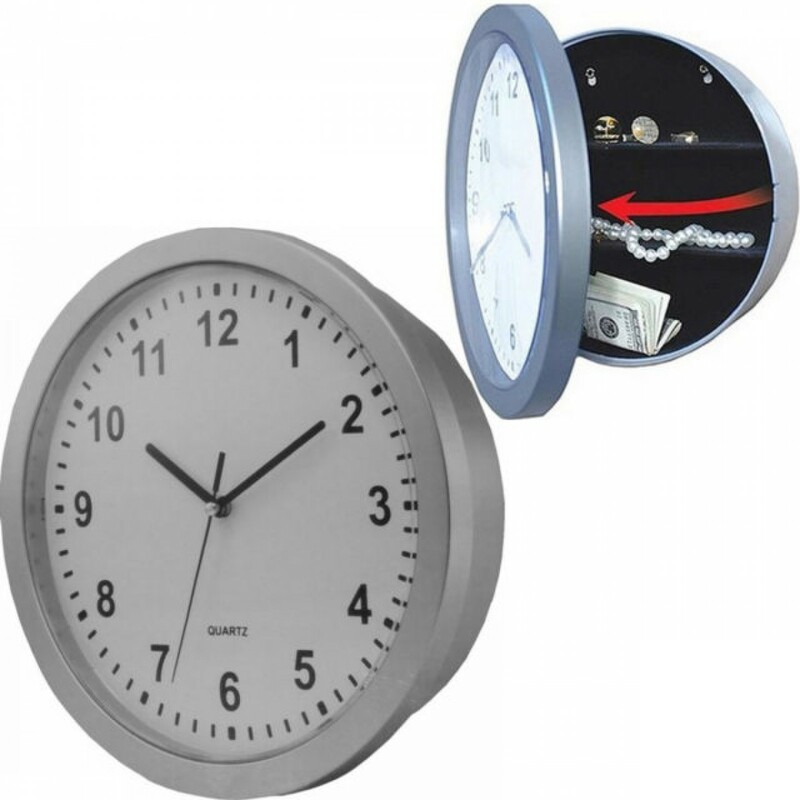 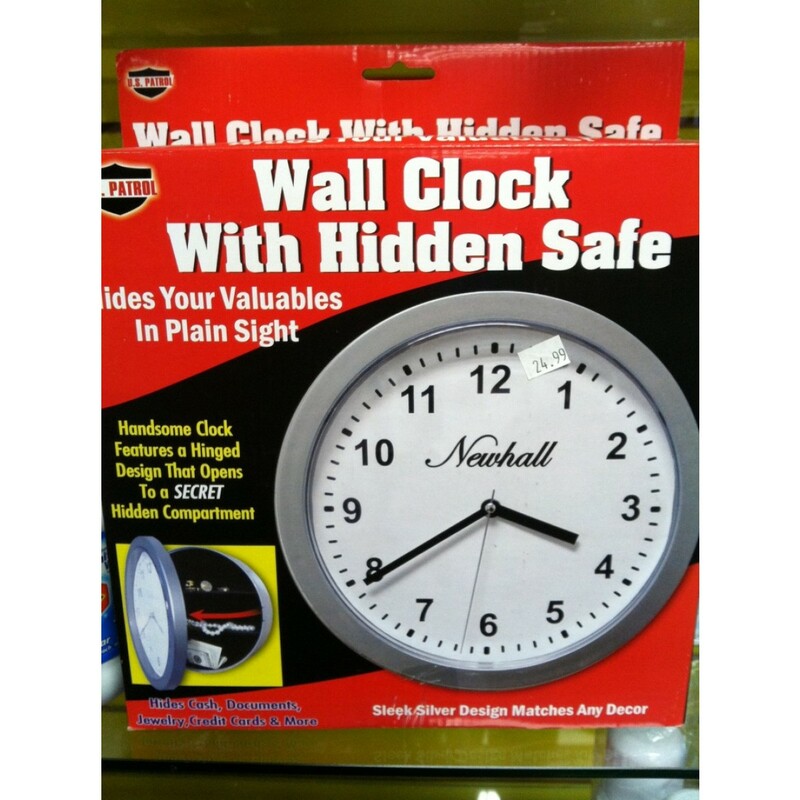 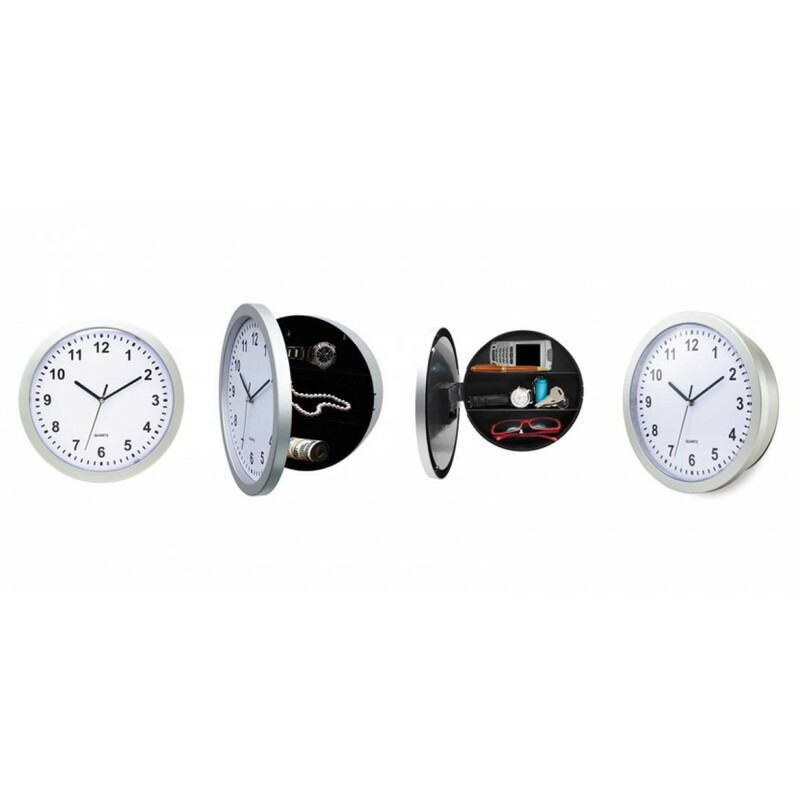 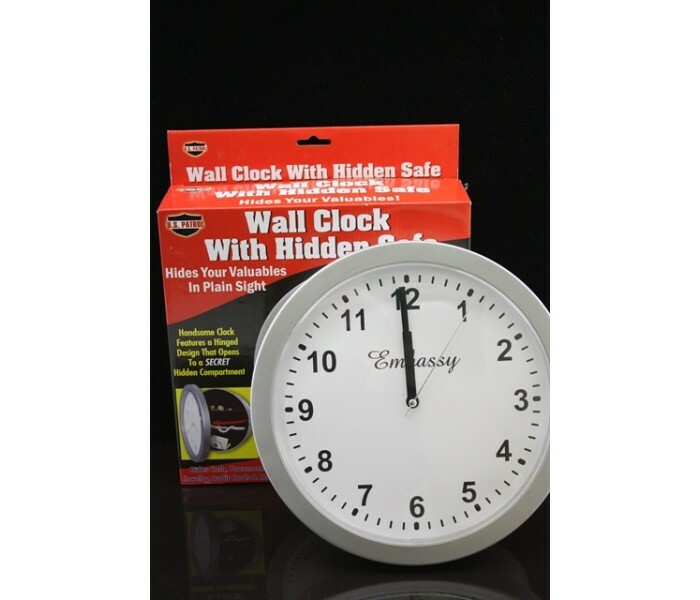 The Wall Clock with Hidden Safe is a stylish and functioning wall clock with hidden space for valuable behind the face. 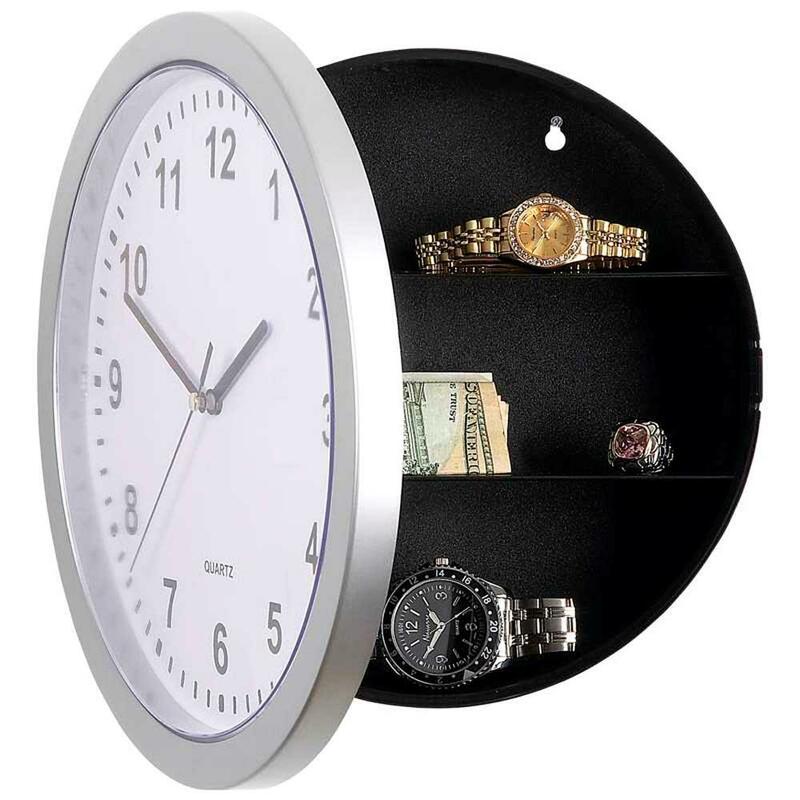 Perfect for stashing jewelry, cash, or credit cards. 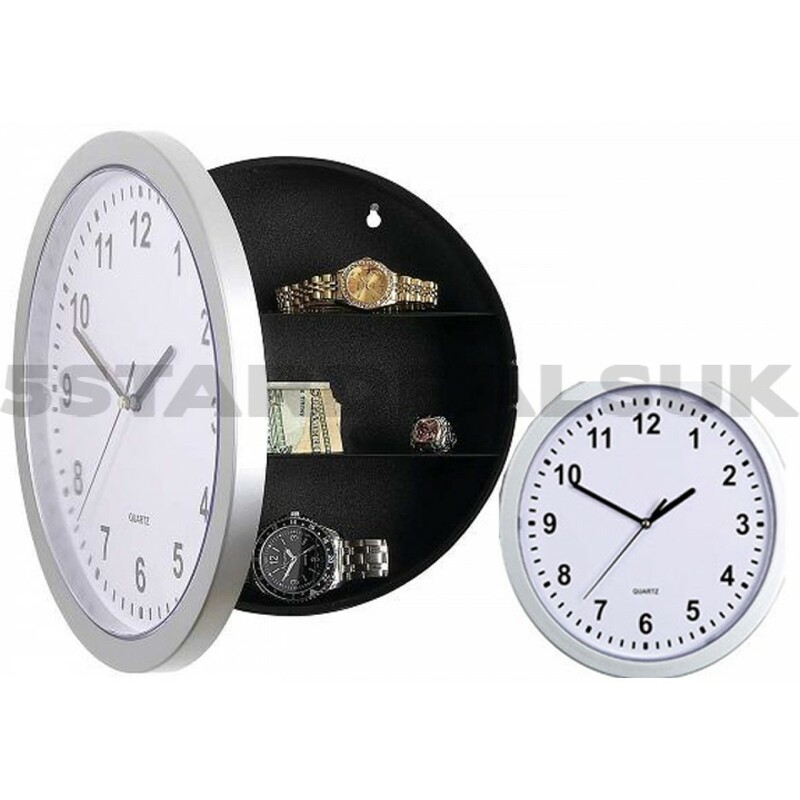 Simple hinged design. 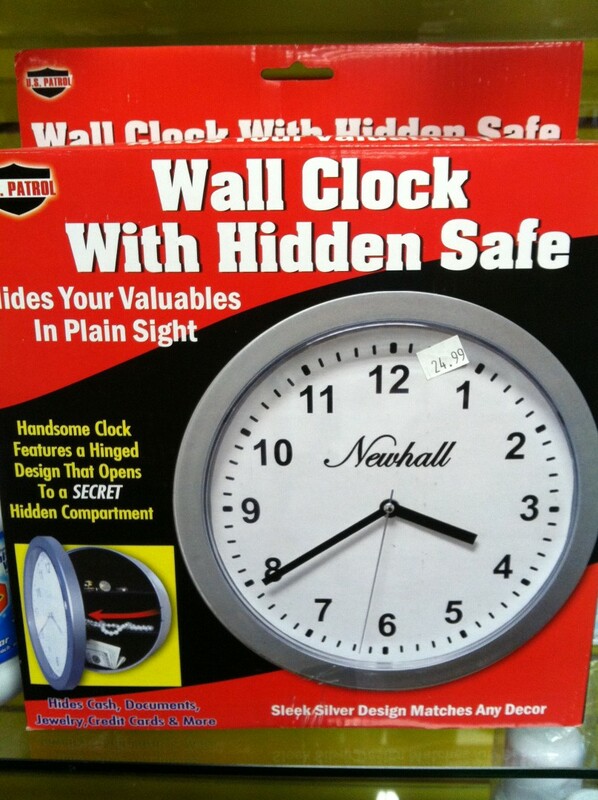 Hides your valueable in Plain Sight. 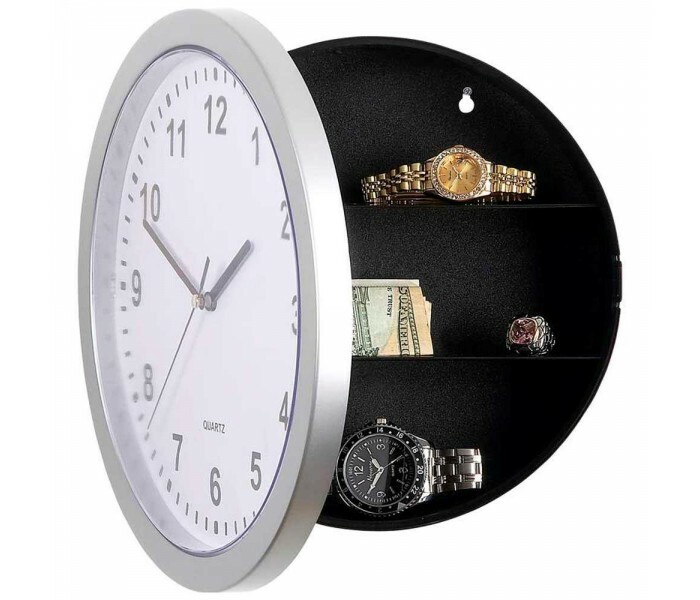 Handsome Clock Features a Hinged Design that Opens to a Secret Hidden Compartment. 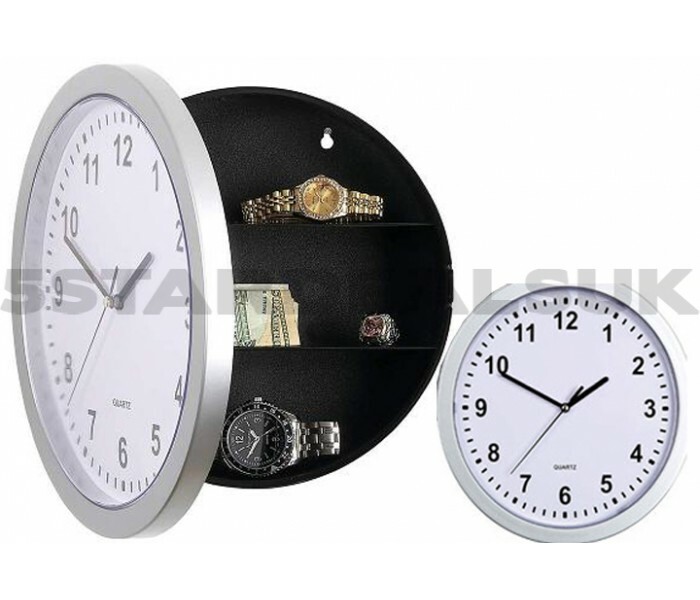 Hides Cash, Documents, Jewelry, Credit Cards and More. Note: Do Not use this as a locking safe. 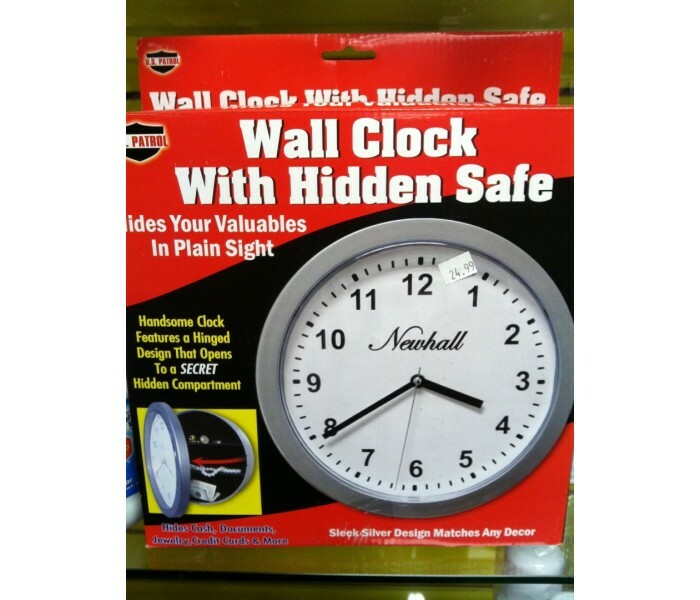 It is not intended to be a locking safe, but a diversion to hide valuables.